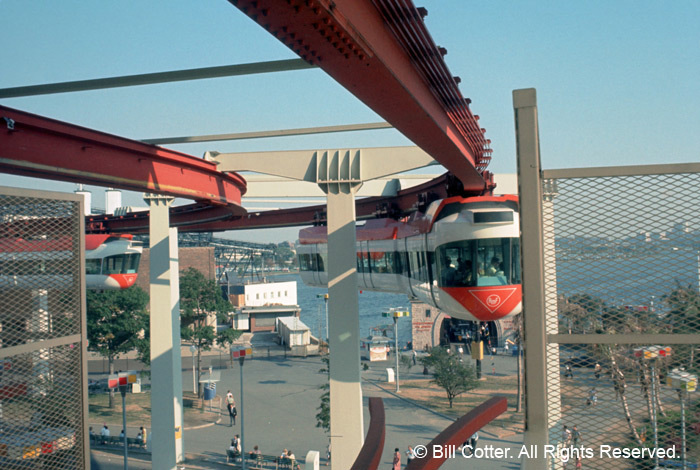 Two-car trains circle the Lake Amusement Area 40 feet in the air in the latest refinement of a concept that has been called the transportation idea of the future. 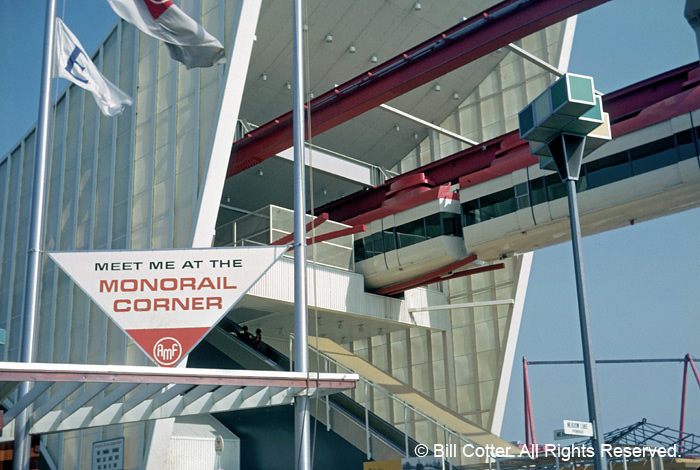 On the World's Fair monorail, built by American Machine & Foundry Company, trains ride below the track, suspended from overhead power units with rubber tires. 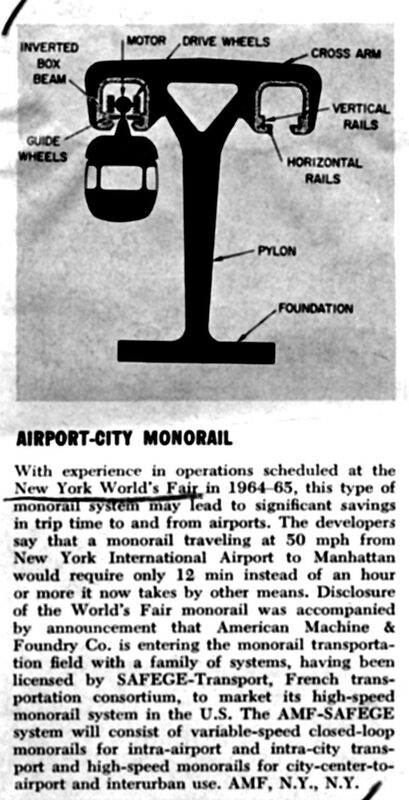 The route is a loop 4,000 feet long, with three trains traveling in one direction while four others travel in the opposite direction on a parallel track. 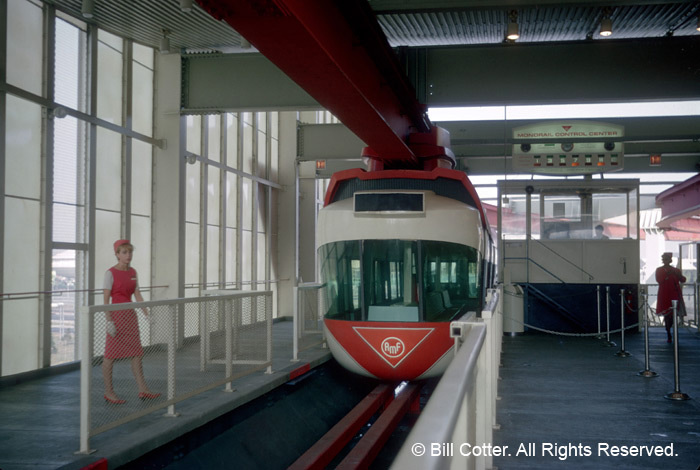 The loading platform, reached by escalator, is halfway up a terminal building that has an arched base and an inverted arch for a roof. 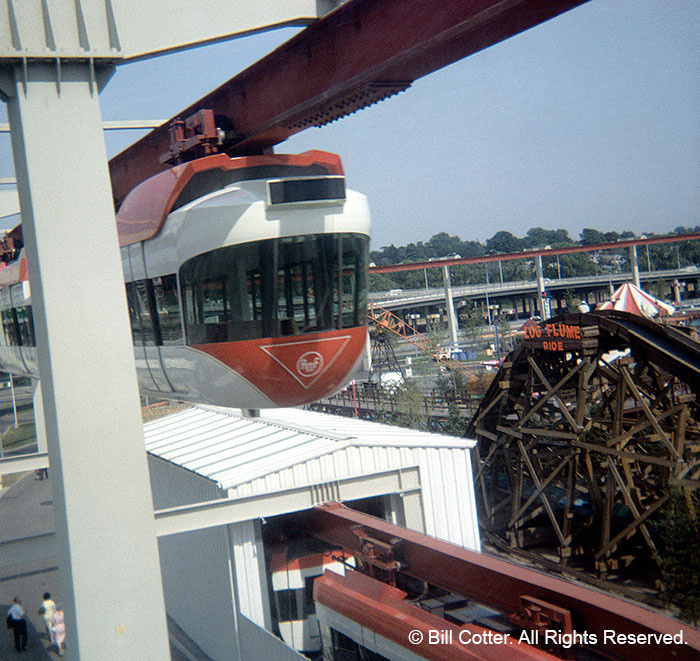 The eight-minute monorail ride provides a spectacular view of the Fair and offers photographers many unusual angle shots from the panoramic windows. 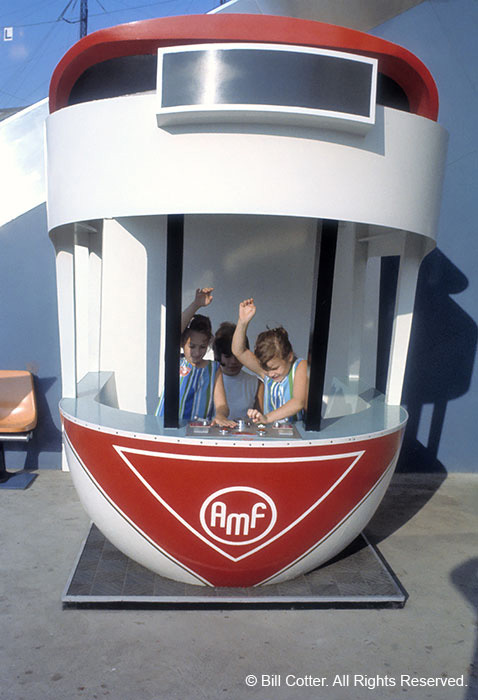 Want more information on the AMF Monorail? 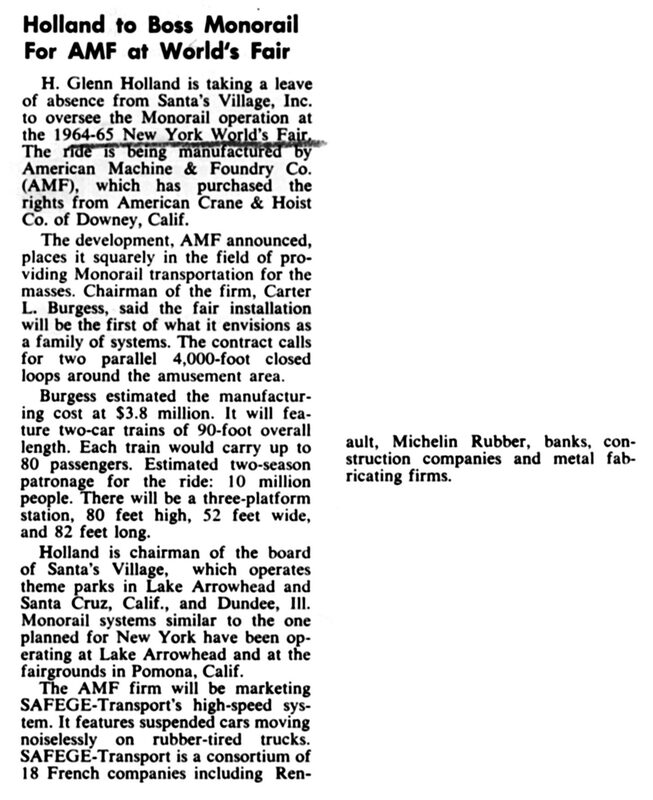 For a while it looked like Disney was going to build a monorail system circling the Fair site. Learn more about this never-realized system here.